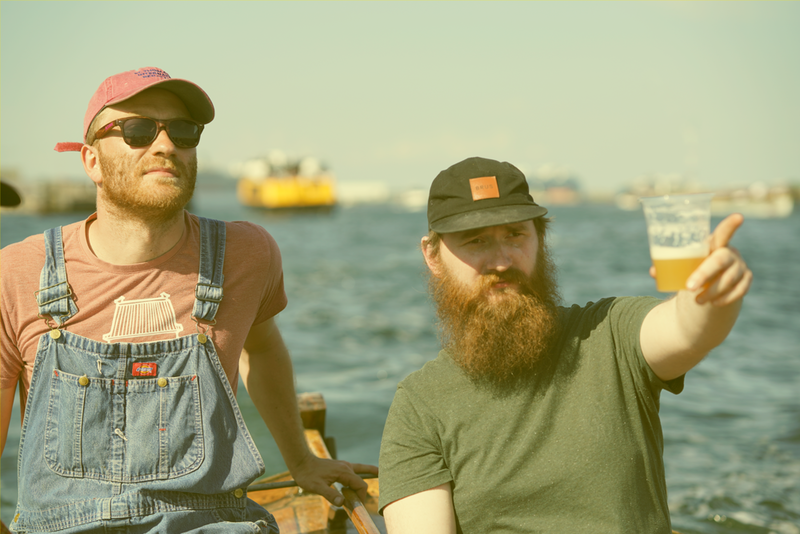 After traveling the world the Danish Gypsy brewery To Øl settled down in 2015 to build their brewpub BRUS in the heart of the Nørrebro neighbourhood of Copenhagen, with the goal to explore flavours across a wide - and wild - range of micro-brewed beverages. Here To Øl, under the alias To Øl CPH, is doing small batch beer production ranging from fresh and juicy to complex and experimental. Working alongside a kitchen team led by former Michelin starred chef Christian Gadient, the brewers are always searching for new flavour combinations, using a variety of fruits, herbs and other adjuncts in the drinks they create. So far, we've done two collaborations with To Øl CPH, both in Copenhagen; The Juice Brothers in 2016 and Quick Splash in 2018.